Cosmic Gate’s recent album serves up another new track. 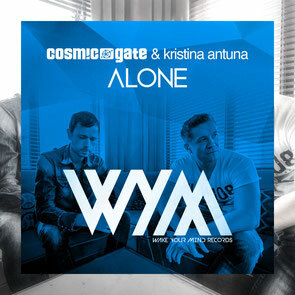 With Kristina Antuna on vocals; Nic & Bossi deliver quite possibly their catchiest production ever and, complete with a Maor Levi remix, this latest release, Alone’ is out 10 November. West Coast ethics run deep with Vegas-born/LA based singer Kristina Antuna, whose vocals and implored lyrics occupy ‘Alone’’s sonic foreground. By turns heartstring pulling and latterly emotionally elevating, with their production Nic & Bossi track her mood note-for-note. Pianoforte lines and fluttering synths channel the vibe further, before the swell of the pads and controlled surge of the pitch-wheel catches the peak of Kristina’s chorus. Maor Levi’s remix positions ‘Alone’ to a later set spin, keeping it big. Check it out below. I have read so many articles or reviews on the topic of the blogger lovers except this post is genuinely a nice paragraph, keep it up.